When it comes to recent presidential elections, geography — at least in some stubborn places — is destiny. 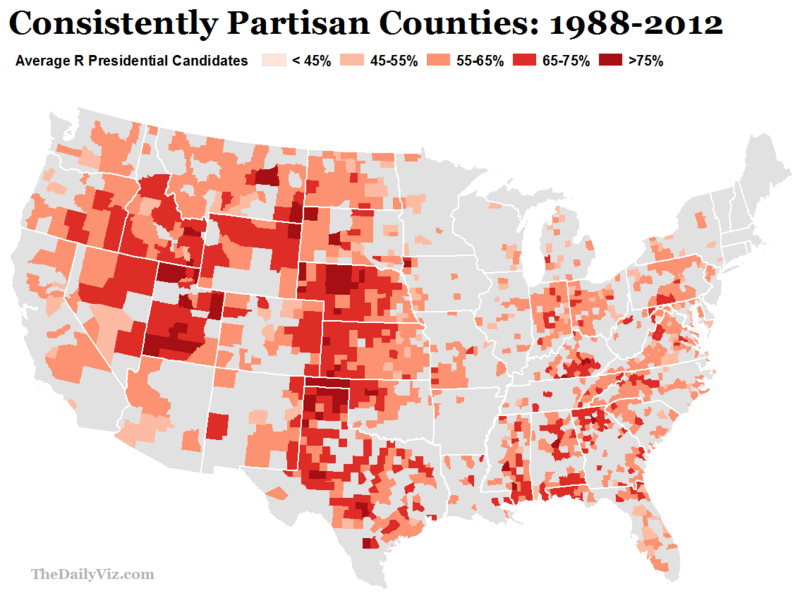 Voters in more than 1,600 American counties — a little more than half of those* in the United States — have consistently selected the same political party in each presidential election since George H.W. Bush faced off against Michael Dukakis. Chances are many of them will do so again this election cycle, too. 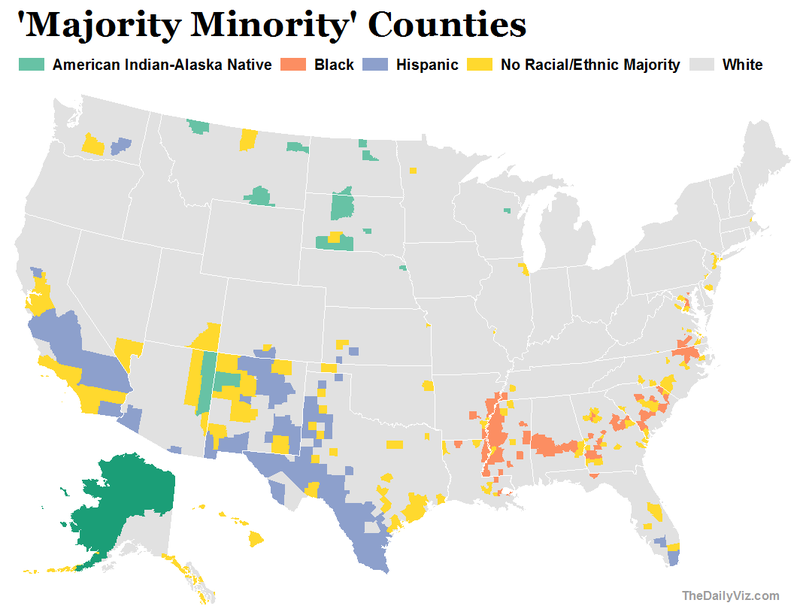 This first map shows each of the counties. They represent a wide swath of American geography — large and small, densely and sparsely populated, rural and urban. The colors show the familiar red/blue categorization of Republicans and Democrats, with darker shades representing a higher respective vote share on average. 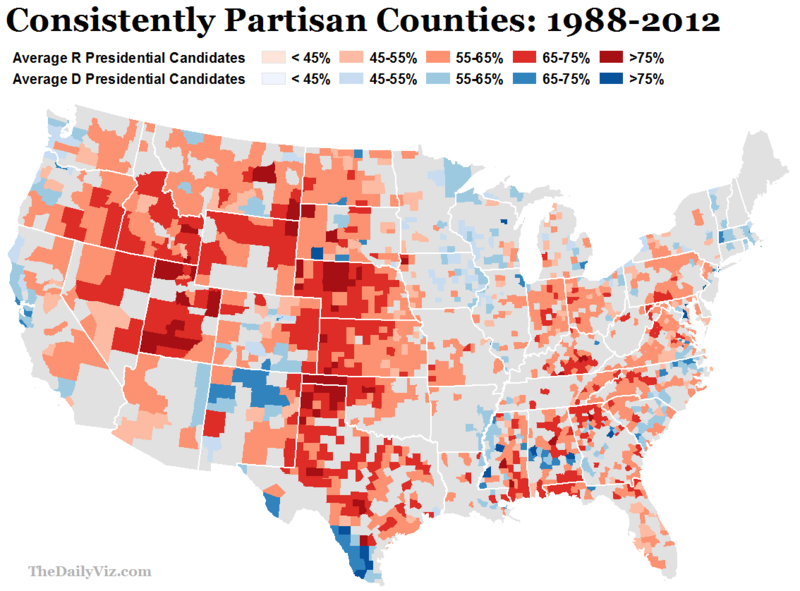 Given the differences between the two parties’ counties, plotting them on a map isn’t necessarily the best way to view this data. That’s because the larger, less-populous red counties in the West tend to disproportionally shade the national picture. Conversely, the blue counties tend to be smaller and more densely populated and therefore don’t get fair shake visually. Another way to look at the data is with a tree map. 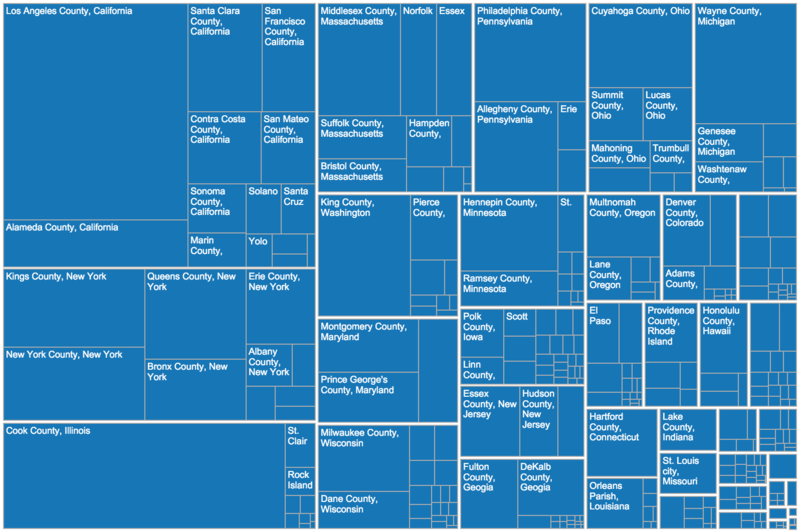 In the examples below, counties are proportionally drawn in squares and rectangles and clustered by state. Both are then sized based on their respective average vote totals over the seven elections. 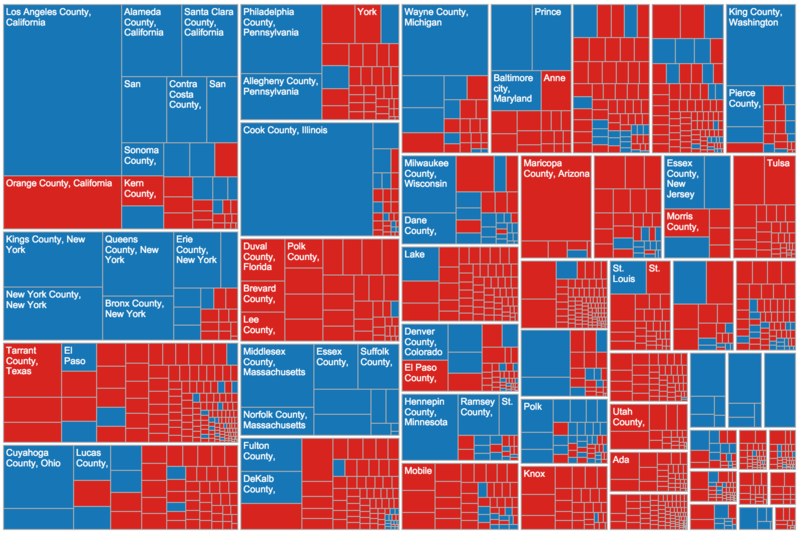 The colors and sizes at the county level reflect the political party its voters favor — and the average votes per cycle for that party. The result is a clearer picture of each party’s pool of support. Again, check out the larger interactive version to filter the maps, see partisan vote averages by county, and even toggle between individual state maps. Though counties are generally a useless level of geography for presidential elections, it’s still fun to look at which areas inside states are consistently shaping partisan destiny. * Counties in Alaska and Hawaii not included because Alaska has wacky county problems across elections. Also because of laziness.